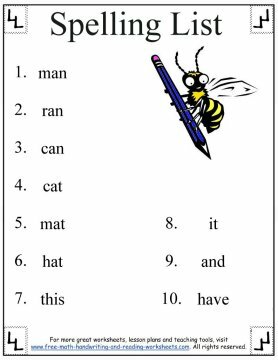 Below is the first set of First Grade Spelling Words. 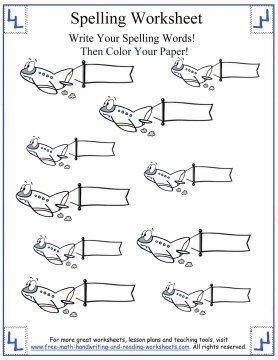 Download and print out the worksheets by clicking on the thumbnail. 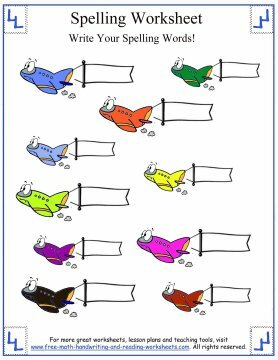 The printable spelling worksheets below cover more than just spelling. They also incorporate handwriting and reading skills that are found elsewhere on this site. 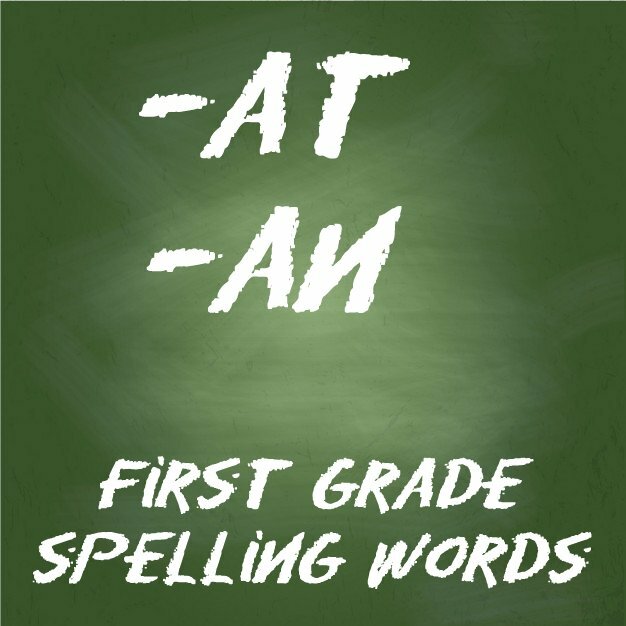 This unit of spelling words will focus on words that end in -at and -an. 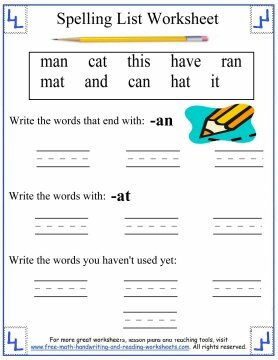 I've also included some basic sight words in the list. We've had two children go through 1st Grade now and their spelling lists always included a few sight words (or popcorn words) as they are sometimes called. 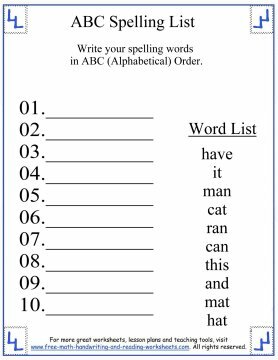 The first worksheet is a list of the words your child will use. You can print it out as a reference for them or to use for giving tests. The second paper is an alphabetical order task. All of the spelling words are mixed up. Your child needs to write them in alphabetical order on the line provided. The next handout is another writing activity. Follow the on-page prompts to write the words that end with -an and -at in the correct place. 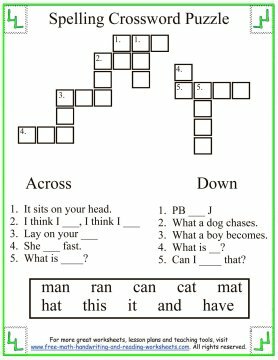 The fourth activity is a crossword puzzle using words from the list. I know that in first grade many students are just beginning to learn how to read, so you may have to help them with the clues. The last two worksheets are very similar. There are airplane on each one that are carrying banners. Write the spelling words on each banner. For the black and white copy, you could also have them color the planes when they've finished writing the words. 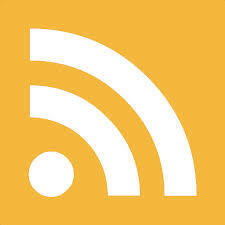 You could have them color the planes that have the -at words on them one color, the -an words a different color, and the popcorn words a third color.